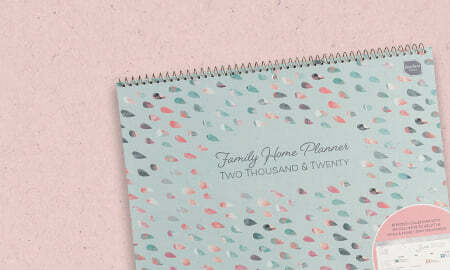 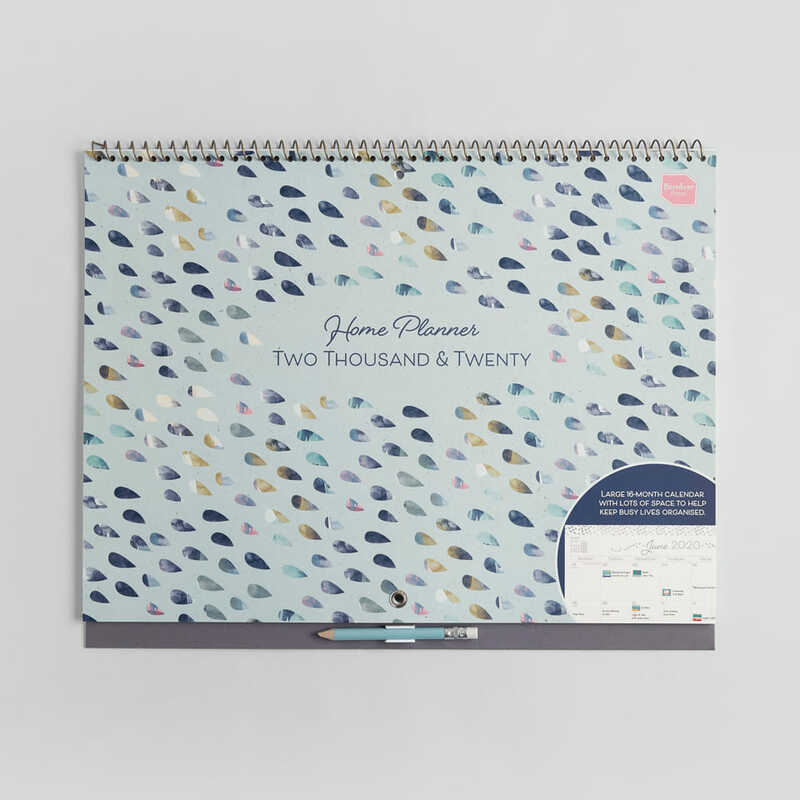 The 2019 - 2020 Home Planner 16-month month-to-view calendar offers spacious planning to help organise a busy home with minimal time or effort. 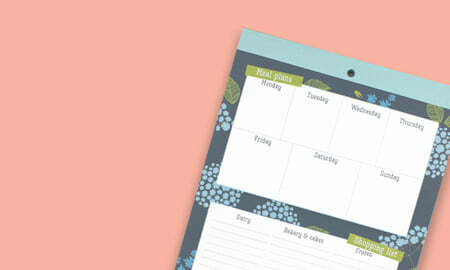 Large, lined daily boxes make planning simple. 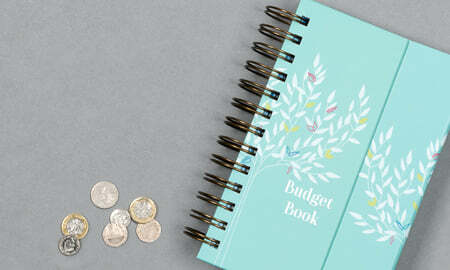 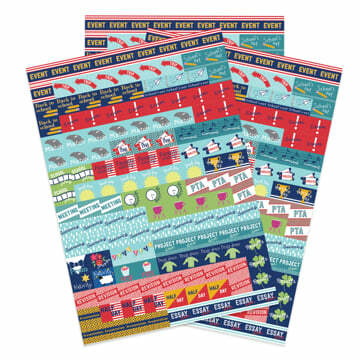 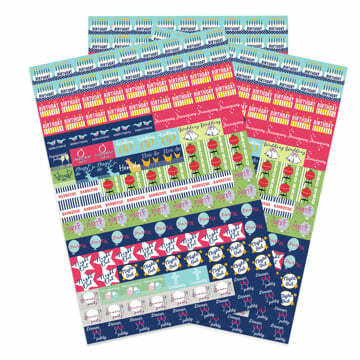 Budget, make notes and highlight important dates with colourful reminder stickers. 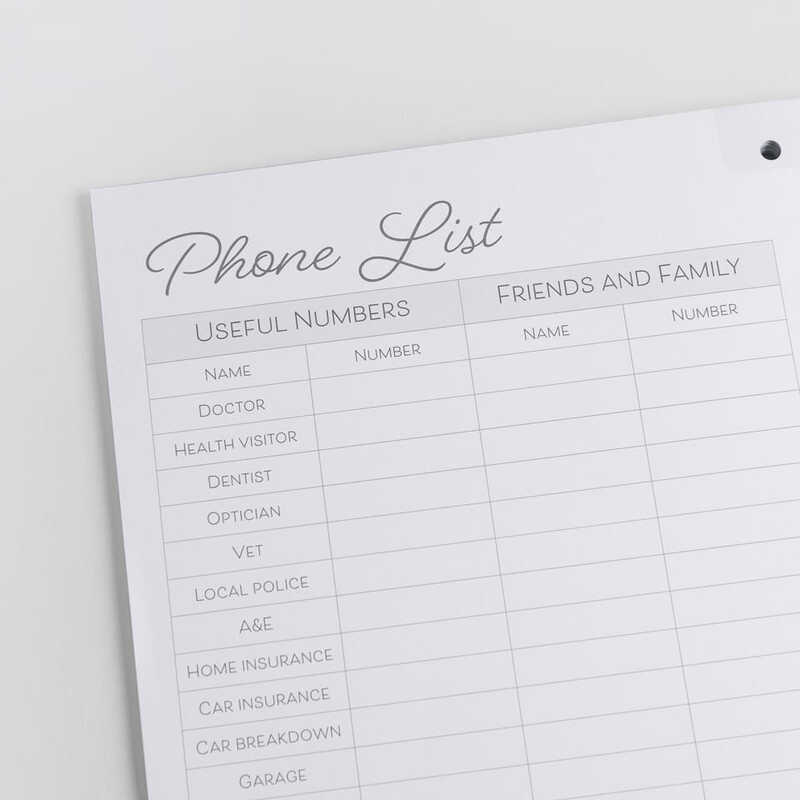 Perfect planning for busy homes! 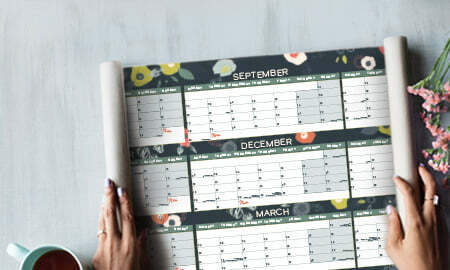 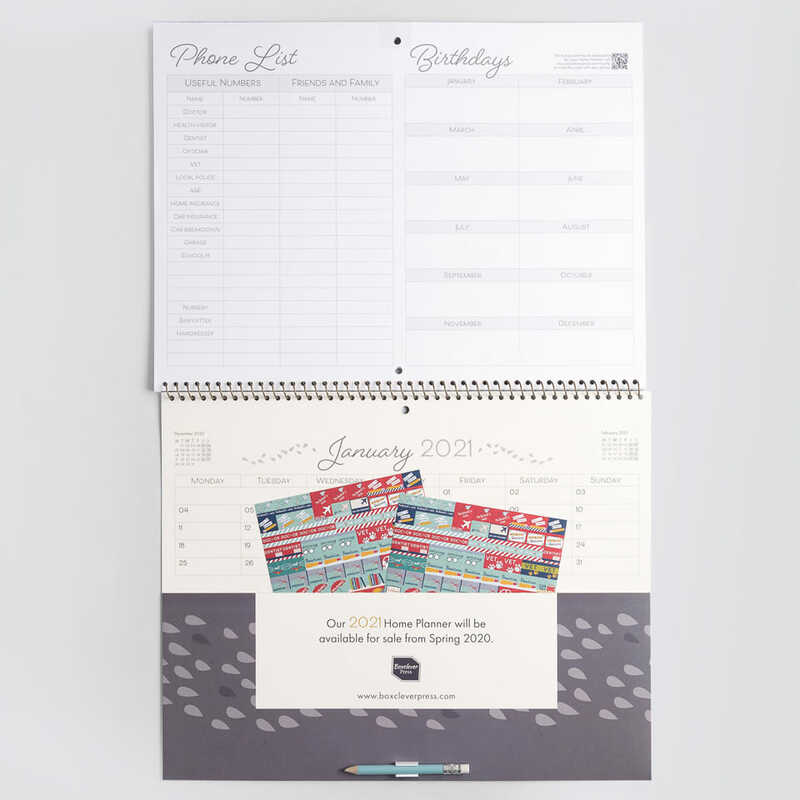 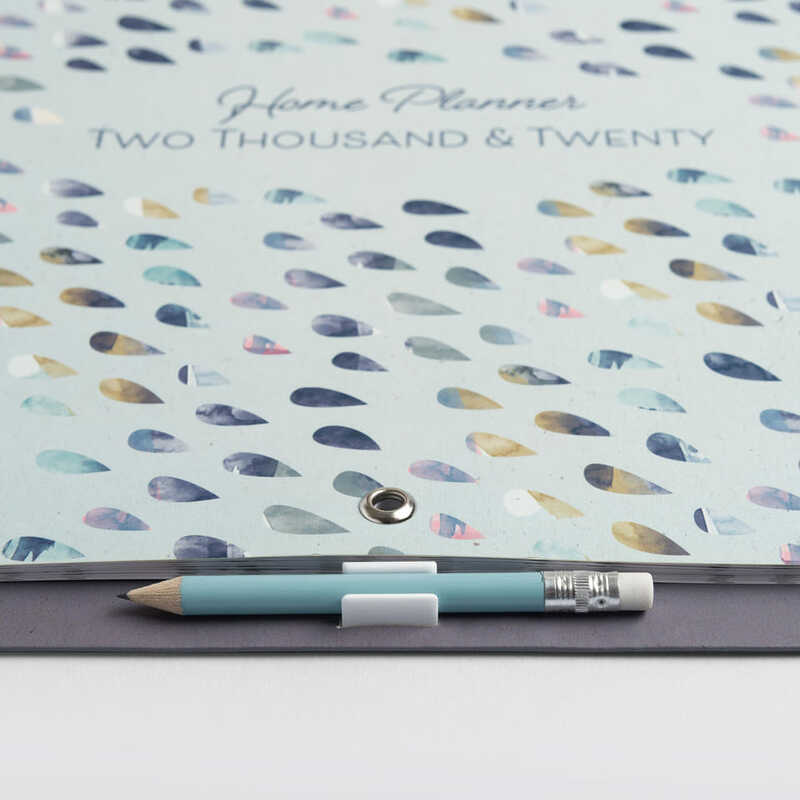 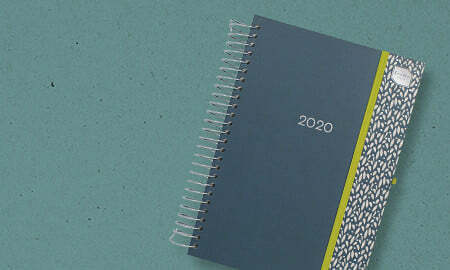 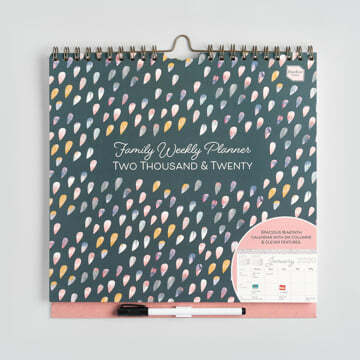 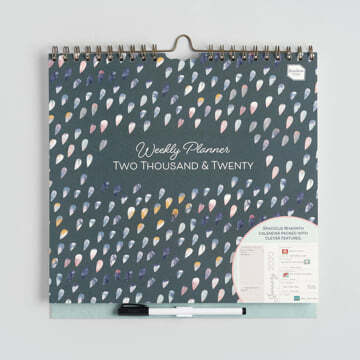 Plan a busy schedule in no time at all with this spacious 2019 - 2020 calendar designed for a busy home or family. 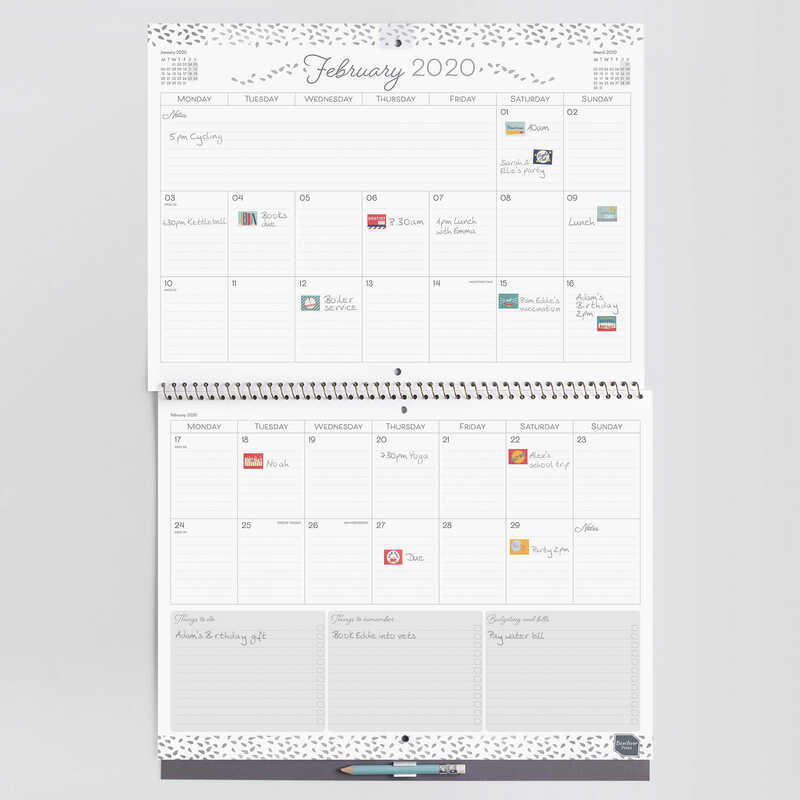 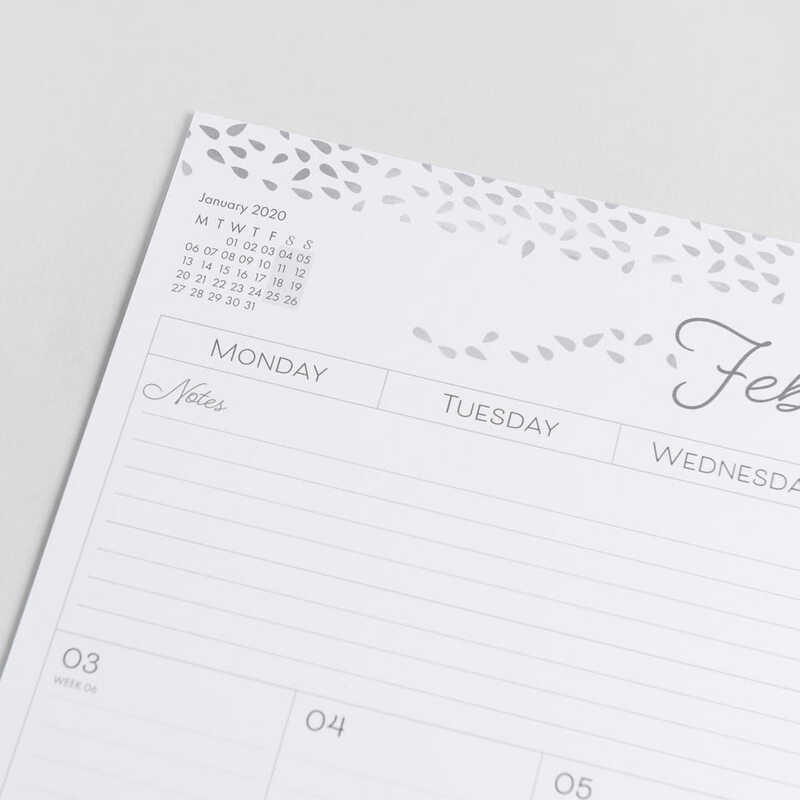 It shows the whole month at-a-glance, and each day features large, lined boxes so you can write down all your appointments clearly. 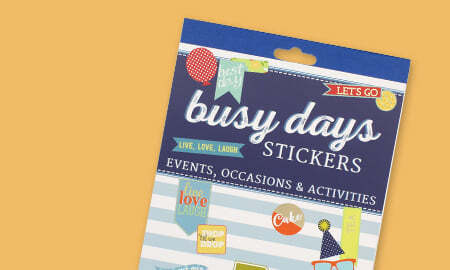 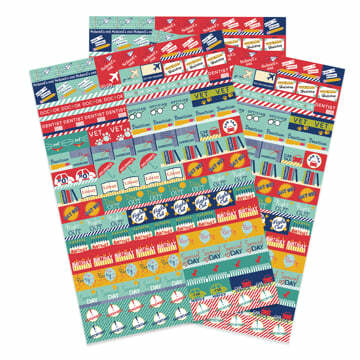 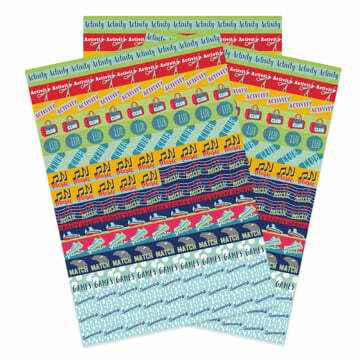 The colourful reminder stickers can be used to make important dates such as birthdays stand out. 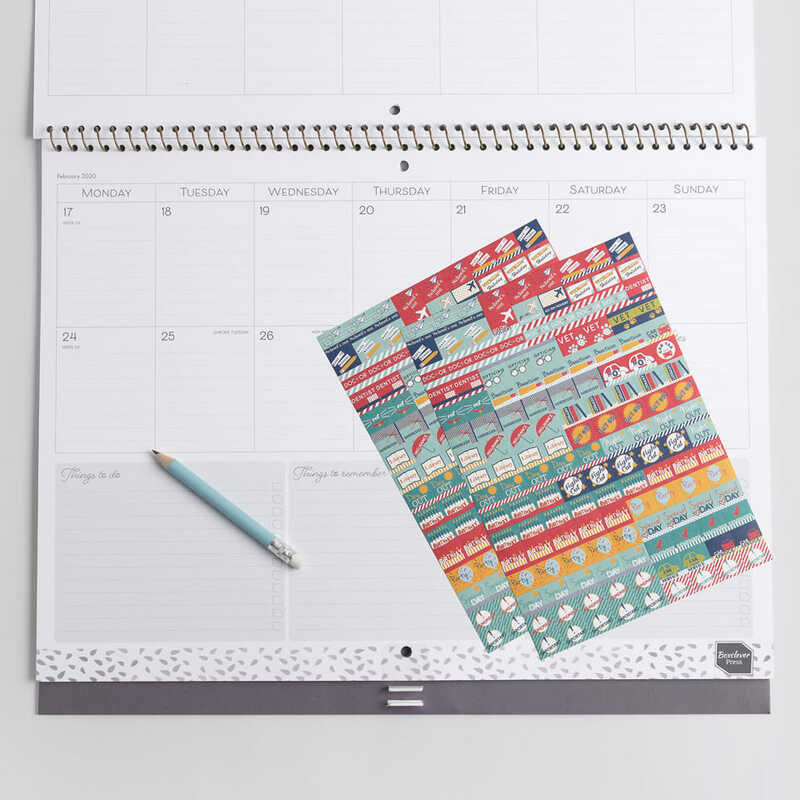 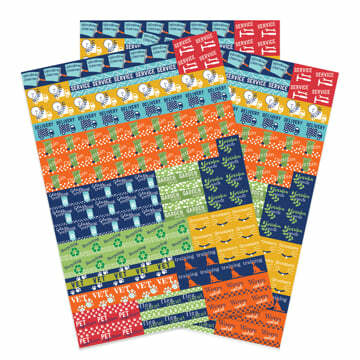 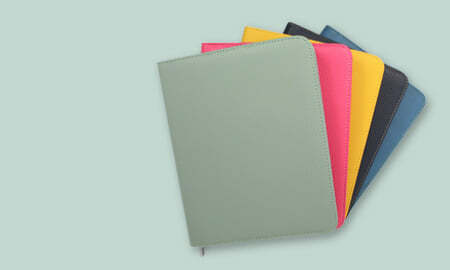 Store the stickers and other loose paperwork in the calendar's handy paperwork pocket. 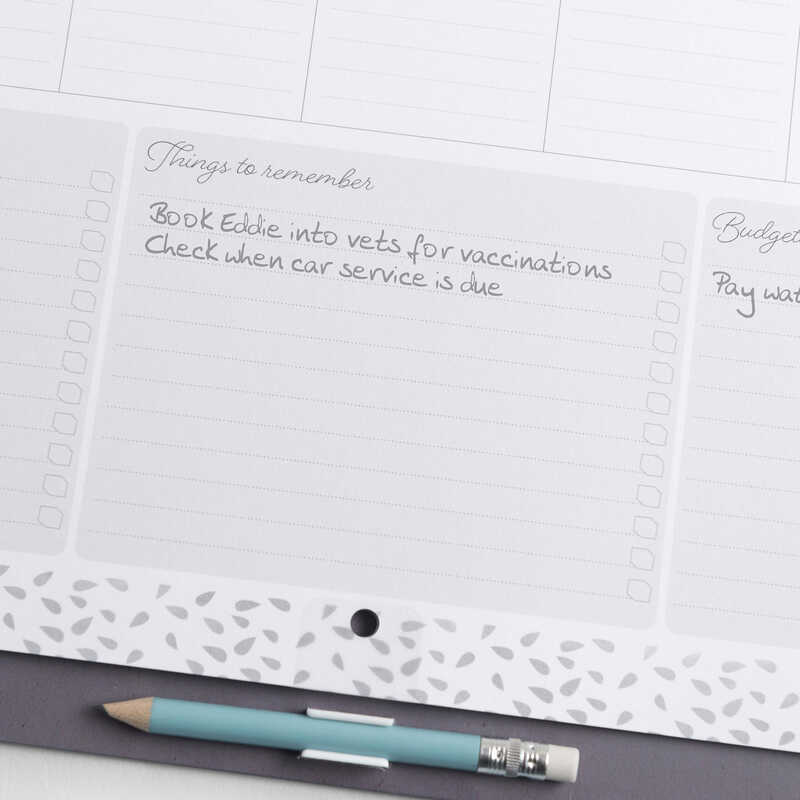 Make notes, write down 'things to do' and jot down bills which you can 'tick as you go' all in one convenient organised place. 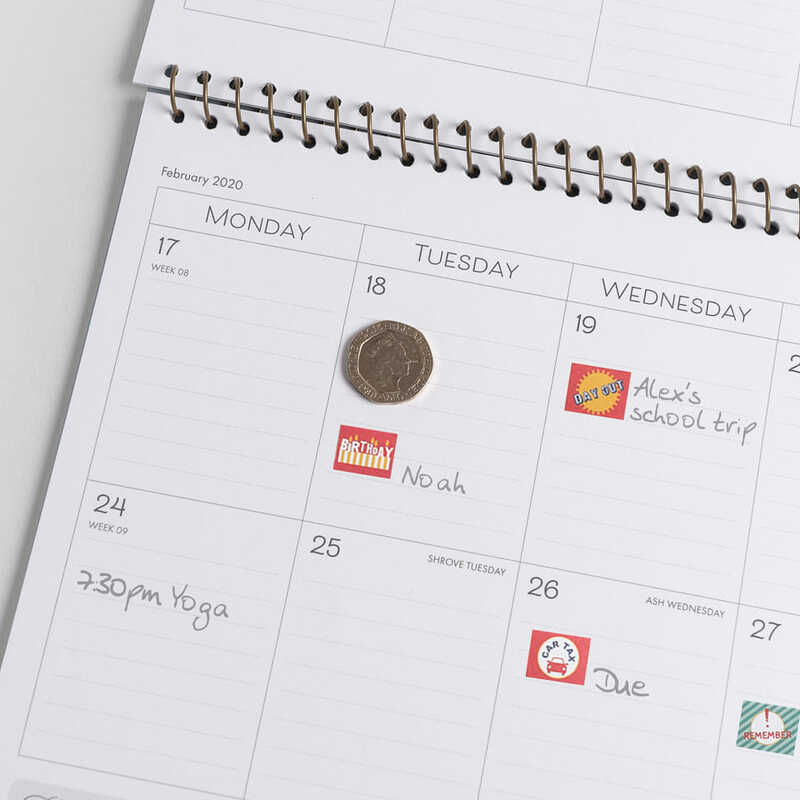 Not only does the clip-on pencil with eraser mean you always have something to write with, it means you can easily plan and rearrange your plans! Perfect for anyone who has lots of activities throughout the month and prefers to see everything in one place.